The average price for this game in the past 6 months is $4.88. The game first became 50% off on Oct 31, 2012 at GameStop. Lowest historic price was $4.68 on Apr 23, 2018 at Green Man Gaming. Resident Evil: Operation Raccoon City pennies off its all time low at GamersGate. Normally a $30 purchase ($24 more). Deal runs through Saturday. deal expired, was a flash sale. The average price for this game since released is $8.86. The game first became 50% off on Aug 15, 2012 at GameFly. Lowest historic price was $5.63 on Dec 6, 2013 at goHastings. The average price for this game since released is $9.04. The game first became 50% off on Aug 15, 2012 at GameFly. Lowest historic price was $5.59 on Dec 6, 2013 at goHastings. The average price for this game since released is $25.58. 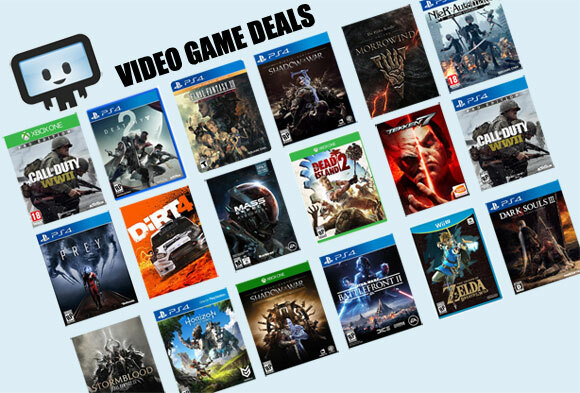 The game first became 50% off on Apr 18, 2012 at Best Buy. Lowest historic price was $4.99 on Feb 18, 2013 at Best Buy. Disappointing to see Resident Evil break from their traditional cinematic style of play and go for a standard 1st/3rd person shooter model. Resident Evil: Operation Raccoon City left a lot of fans T'd off but at the same time kinda redeemed themselves with a 4 player co-op campaign option. Reviews are not all negative and it might be worth $15 at Best Buy, which is the lowest price ever by $5. The average price for this game since released is $26.59. The game first became 50% off on Apr 18, 2012 at Rakuten. Lowest historic price was $4.99 on Feb 18, 2013 at Best Buy. While the events in Resident Evil 2 and 3: Nemesis take place, the events in this 2012 third-person shooter video game unfolds, this time in Raccoon City. Scheduled to release Worldwide in March 2012, Resident Evil: Operation Raccoon City players take the role of USS officer to destroy evidence of Umbrella's illegal activities. Raccoon City has now been infested by zombies infected by the biological weapon t-virus developed by Umbrella. While Special Operations team is tasked to expose the illegal activities of Umbrella, players will lead on a story based on "what-if" decisions. There are six playable characters in this game, with individual abilities and skill-sets. The game will allow four players for the co-op mode.